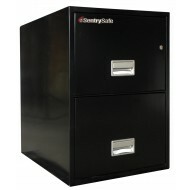 This is a two drawer Sentry fire rated file cabinet. It is a vertical file designed to hold letter size documents. It carries a UL one hour fire protection label. The drawers have a rugged suspension which allows easy movement even when fully loaded. The Sentry 2-Drawer Letter Vertical file cabinet has deep drawers for plenty of storage for important documents. It comes with a UL rating one hour fire rating as well and a UL impact rating. A UL impact rating means that a model has been dropped 30 feet and the file remained intact and the drawers locked. 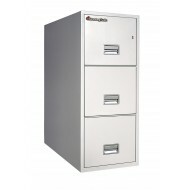 The two drawer 2T3110 is short and sturdy enough to hold other important office equipment such as a phone. The 2G3100 fire file is legal width, but can be set up to store either legal or letter documents. It has a sturdy build included rugged suspensions system for the drawers. UL has given this model a one hour fire protection label and a explosion hazard protection label. 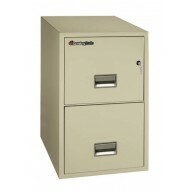 This safe is a two drawer vertical fire file cabinet. 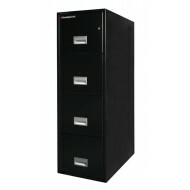 The 2T3131 is 2 drawer vertical file cabinet designed to hold letter sized documents. It has two (2) drawers and is 31 inches deep which allows for alot of documents. This high end file cabinet has fire, water and impact protection. It has a UL firerating for one hour. It has is labellled water resistant have passed a one hour sprinkler test. And this model has been dropped 30 feet and the drawers have not broken open (UL Impact Test). 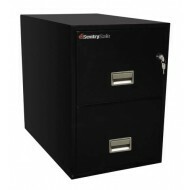 Sentry media chest (1100) included for protection of hard drives, USB drives, CDs, DVDs, memory sticks and other digital media. 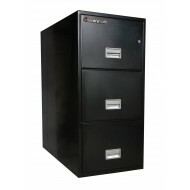 This is a heavy duty Sentry vertical file cabinet with three way protection. It has passed the ETL one hour water spray resistance test. It has been awarded a UL 1 hour four protection label. It also was tested by UL in a 30 foot drop and the cabinet remained intact and the drawers remained locked. The 2G3131 is fitted with a Medeco key lock which carries the highest UL security rating.. This comes with a complementary Sentry Media Chest, the Sentry 1100. 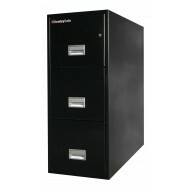 You can put your digital media in this chest and then store it inside your file cabinet for double protection. 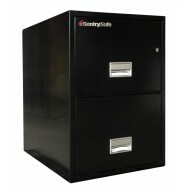 This Sentry fire file cabinet model 3G3100 is a heavy duty locking file. It has passed the UL 30 foot drop test and earned a Ul explosion hazard resistance rating. The key lock is a plunger key lock which secures all the drawers. This vertical file comes with three drawers and you can chose between black, grey, and putty colors. 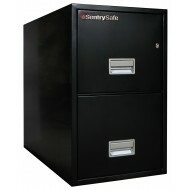 Rated to protect your vital business records, Sentry 3T3110 has fire, explosion and impact protection. UL has given this vertical file a 1 hour fire protection label. The model 3T3110 was tested with a 30 foot drop, and the drawers remained locked and the safe intact. That earned it a UL impact rating. Each of the three drawers can be opened independently while the others remain locked. The rugged suspension system allows for easy movement of the drawers even when fully loaded. This file cabinet is designed to hold letter size documents.